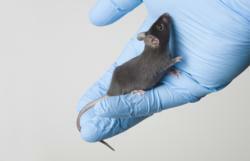 The pre-clinical interface has dedicated applications and presets for small animal imaging. Our ultrasound systems are unique in the research field because studies on humans and animals can be conducted on the same core platform and imaging environment. Ultrasonix Medical Corporation, a leading supplier of ultrasound systems for research applications, will be showcasing its products for the first time at the American Association of Cancer Research (AACR) 2012 conference in Chicago from April 1-4. Featuring high frequency imaging and a complete pre-clinical solution, Ultrasonix provides one of the most flexible platforms available for ultrasound research. Ultrasonix research systems are compact, portable and fully customizable to include a range of new and upcoming technologies such as contrast imaging, elastography, plane wave imaging, strain imaging and photoacoustics imaging. Organizations around the world have been using Ultrasonix systems for biomedical and pre-clinical research for the past decade. About 50% of ultrasound research papers that are published are based on work done on the company’s proprietary research platforms. Dr. Kenneth Hoyt from the University of Alabama at Birmingham will be at the Ultrasonix booth on April 2 and 3 to discuss his study using contrast agents to detect early response to cancer treatments. He will speak to his poster titled Quantitative Volumetric Contrast-Enhanced Ultrasound Imaging: An Evolving Modality in Imaging Research. Dr. Hoyt’s study on mice found encouraging results on the feasibility of using ultrasound to detect and monitor early antitumour effects in response to cancer drug therapy. Advanced imaging modes such as Elastography, Strain imaging, 3D/4D imaging, Color Doppler, Pulsed Wave Doppler and Vector Doppler. Ultrasonix has been a leading provider of dynamic ultrasound research systems for university and biomedical research for more than 10 years. The company also develops and manufactures diagnostic ultrasound imaging systems for clinical use. The company's systems are built on an open software platform that enables remote service and easy updates to keep current with advancements in imaging technology. Founded in 2000, Ultrasonix is a privately-held company headquartered in Richmond, British Columbia, Canada. http://www.ultrasonix.com.